Today’s workout** is an interval workout and it is going to be a whole body strength workout, very intense cardio, with a focus on improving our recovery time – the time it takes for our heart rates to return to a normal level after you go like hell. This workout will help you to be able to give 100% in a jam, and then feel rested and ready for the next jam up, because your recovery time will be improving. Fast recovery is super important for every player on the track, not just jammers. Instructions: Do each exercise for 30s, rest for 10, then use the next 30s interval to sprint or jog a shuttle run – out and back 20 meters each way. The faster you run, the more rest you’ll get. Watch the video to see the demonstration of these moves! If you are working out indoors, do an intense cardio exercise instead of the sprint – set yourself a target number of reps to complete in the 30 seconds (some good ones: high knees x 30, burpees x 5, jumping jacks x 15, step-ups, stairs, etc.). **A special note to you guys watching this – YES, this is my first ever video!! Yay! NO, I am not happy with the quality!! Boo!! In fact, as a born perfectionist, it is extremely difficult for me to post this when there is so much I want to improve about it; however, I know that everyone has to start somewhere. Starting this blog “somewhere” and building on it is no different than starting from whatever point you’re at physically – even if you’re not proud of your body’s abilities just yet – and building on what you’ve got. The exciting news is that I now have in my hands a new camera, and a new mic, so next video you see I hope that the technical side will be seriously improved! 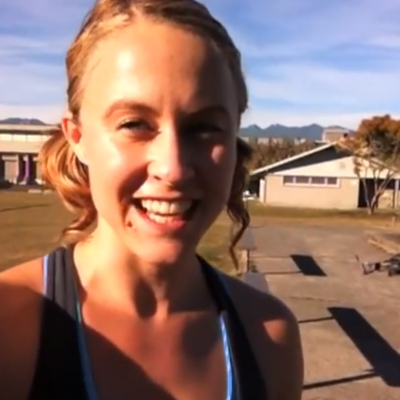 I’d love to hear your comments and thoughts on the video and the workout! 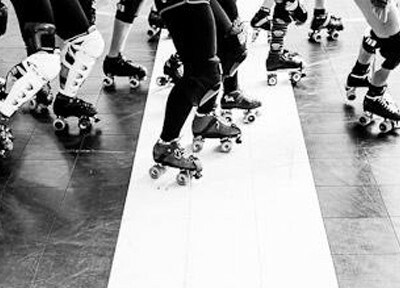 Leave me a message below and join the roller derby athletics community.